Line-shape broadening in plasmas, Stark and Zeeman effects, polarization spectroscopy, collisional-radiative calculations. 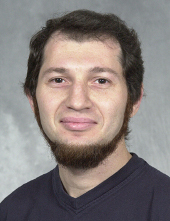 Citation: "For gaining insights into phenomena of spectral line broadening in plasma and developing theoretical approaches and advanced computer simulation methods for rigorous modeling". Citation: "For outstanding contributions to spectral line broadening theory and modeling, including development of numerical methods, and their applications to novel approaches in plasma diagnostics".